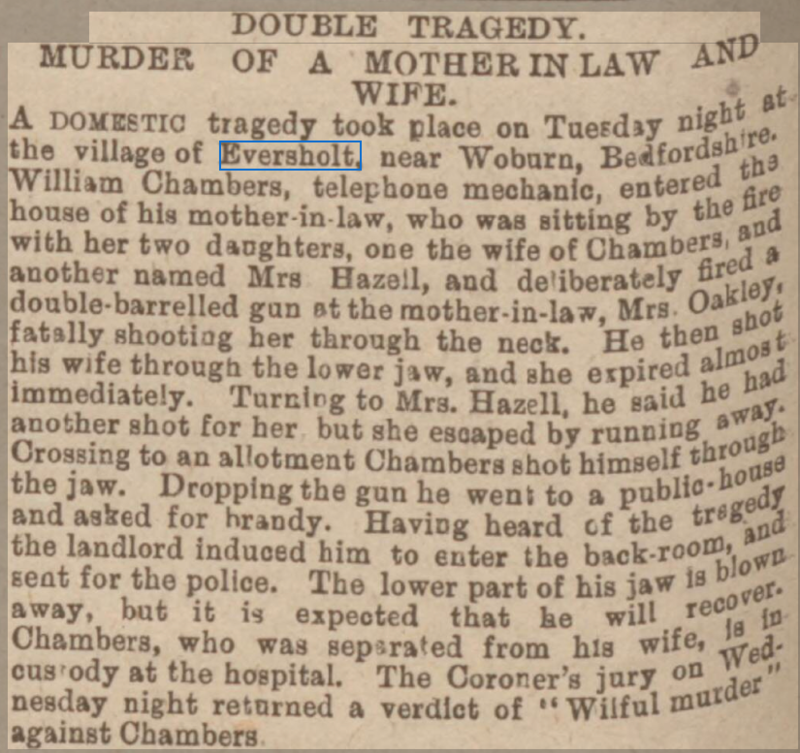 Robert Berkeley told the tale in 2011 how, as a small child, he was shown the bullet holes that remained from the murder in Eversholt. 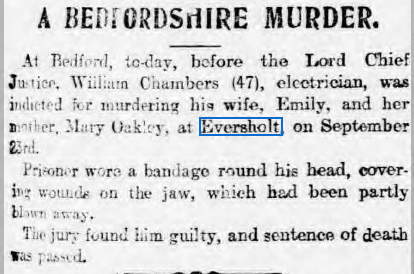 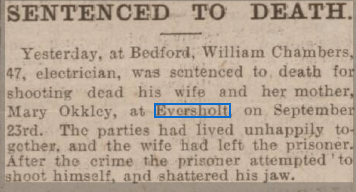 William Chambers was married to Emily Oakley from Eversholt. 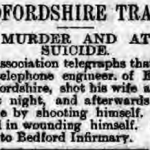 William was a telephone engineer from Flitwick, born in 1855. 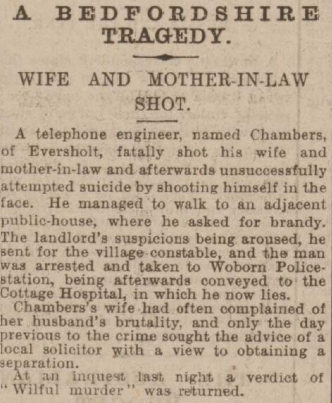 In the past, he’d been a groundsman at Lord’s. 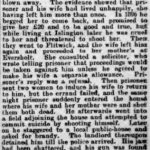 Emily left him, not for the first time, because, she said, he was violent. 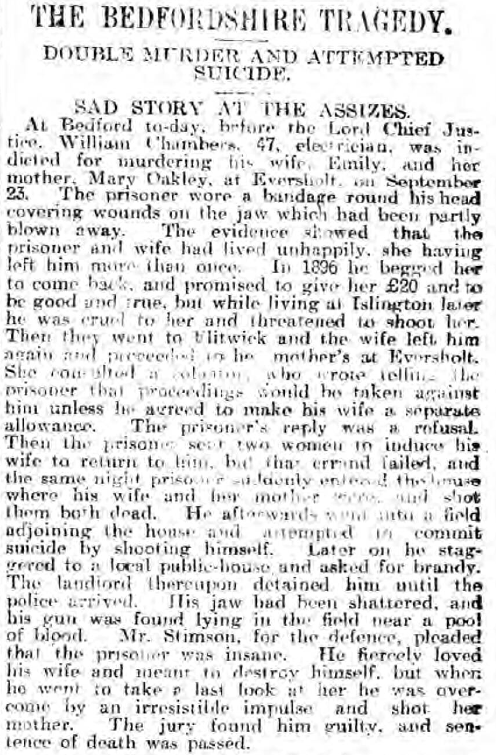 Emily went back to Mum, Mary Oakley. 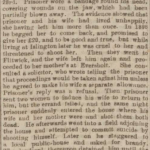 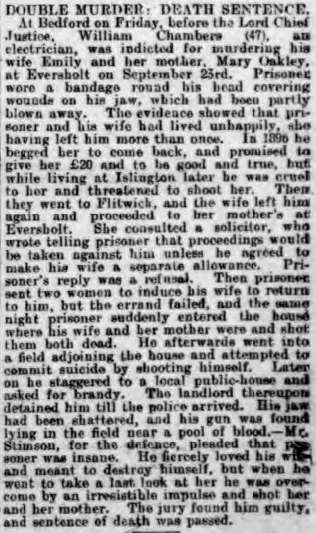 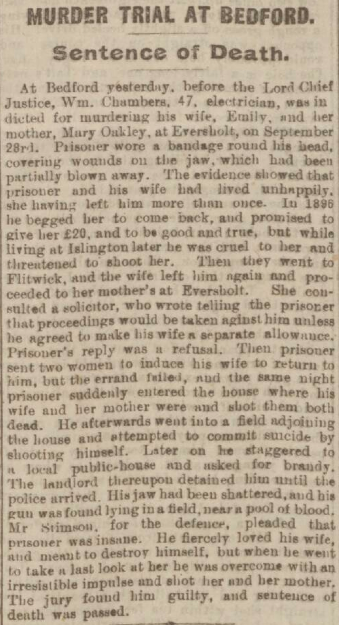 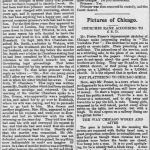 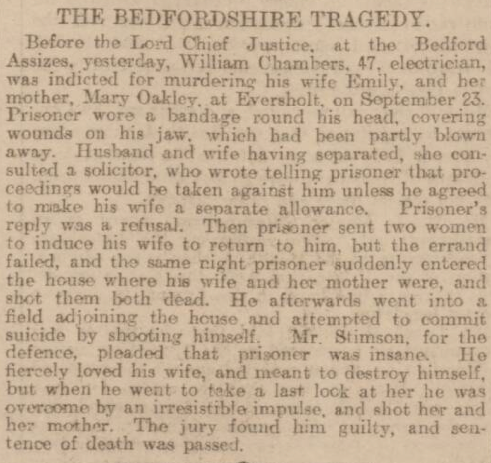 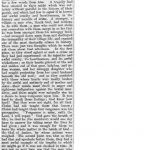 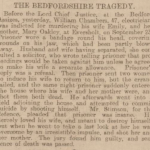 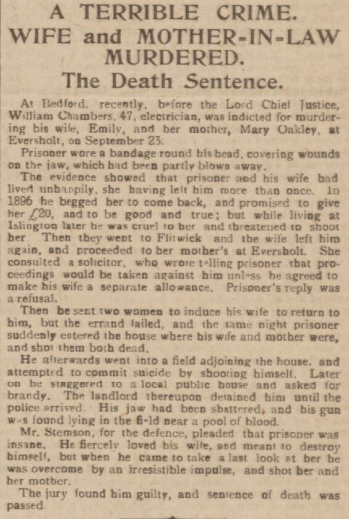 On Tuesday, 23 Sep 1902, William came after her with a double-barrelled shotgun, and, when she refused to return to him, he shot her, and Mary, leaving Emily’s sister, to whom they had been talking, alive. 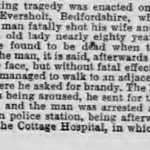 He tried and failed to shoot himself in a field, and staggered to a pub, where he was arrested. 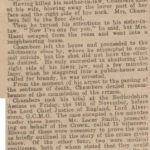 He was tried before Lord Chief Justice Lord Alverstone on 14 Nov 1902. 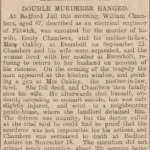 He was hanged on Thursday 4 Dec 1902 in Bedford by the hangmen William and John Billington, or perhaps by William Billington and his assistant, John Henry Scott. 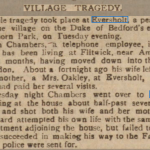 The Mr Brinklow, landlord of the Falcon Inn at Eversholt mentioned above was my great grandfather. 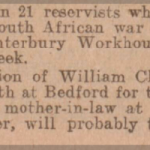 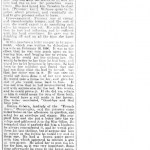 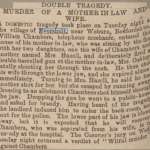 I came across this article whilst researching the family history and would very much welcome any information about the pub and /or the Brinklow family history in the area. 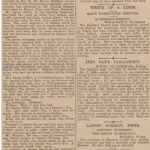 You can contact Paul directly at drivekiwi@gmail.com or leave a message below. 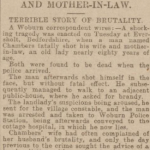 Here is the only picture I have found, from the Luton Times and Advertiser. 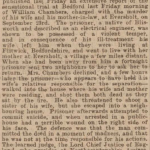 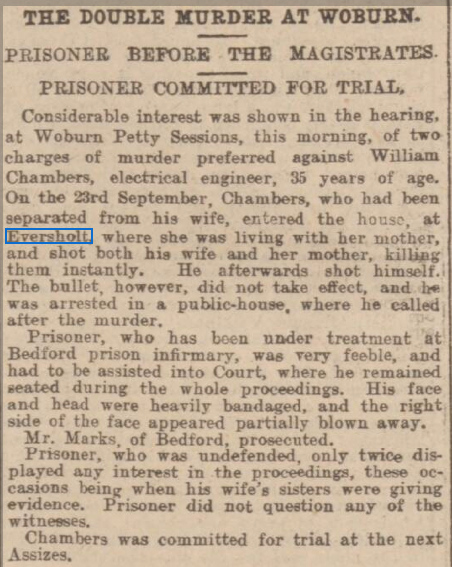 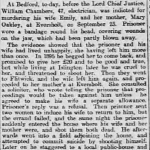 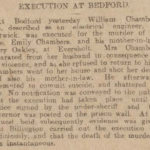 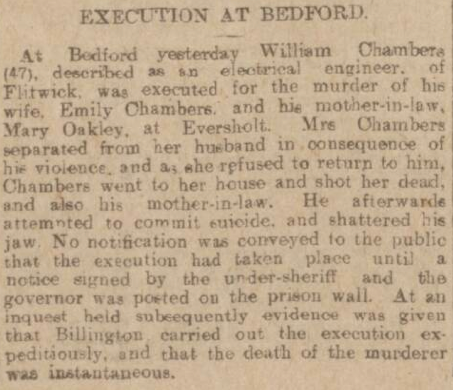 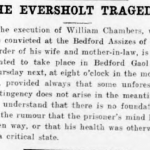 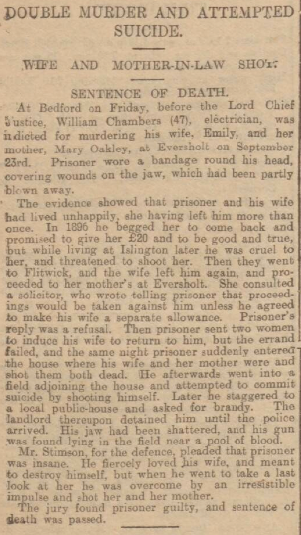 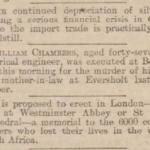 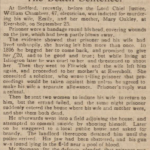 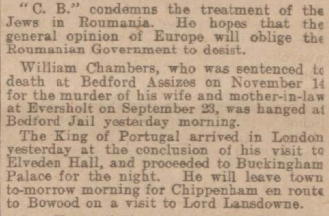 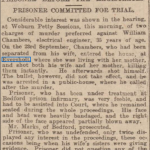 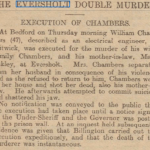 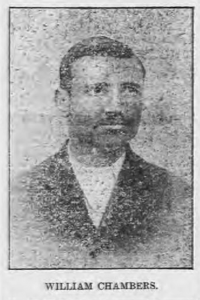 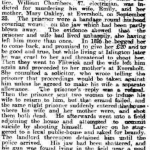 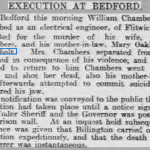 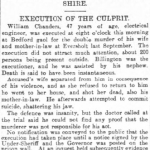 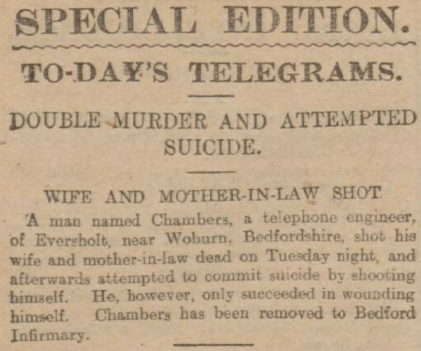 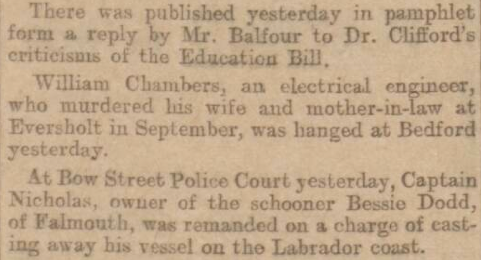 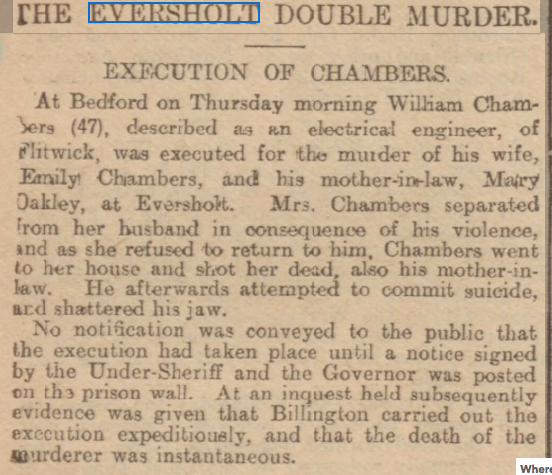 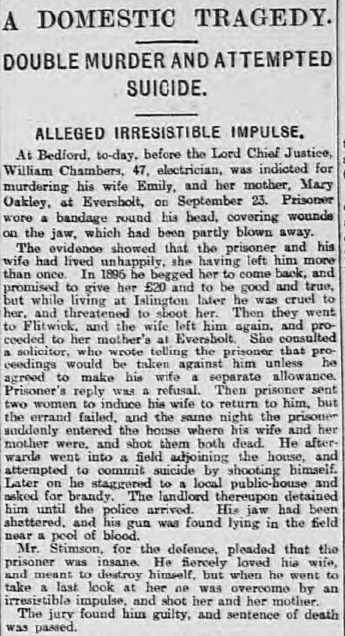 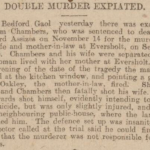 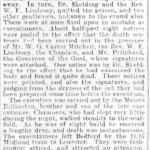 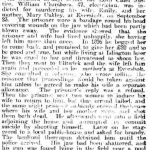 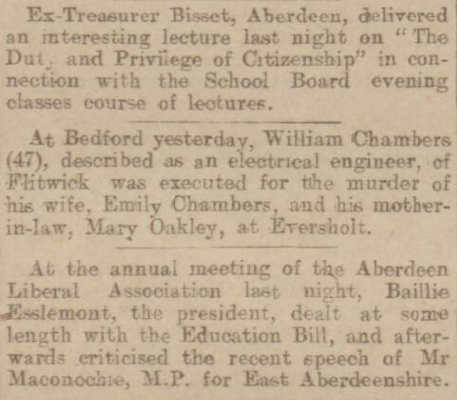 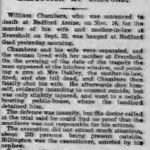 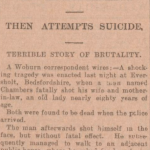 Chambers was one of 22 people, all men, executed in England and Wales in 1902. 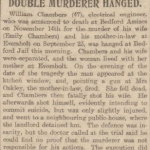 Between them, they were accused of killing 22 women and 1 man. 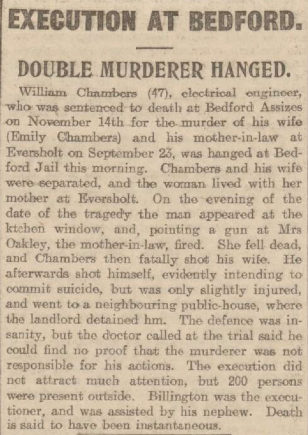 Chambers was the only one accused of killing 2 people. 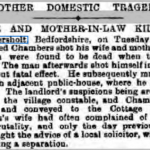 WIFE AND MOTHER-IN-LAW MURDERED. 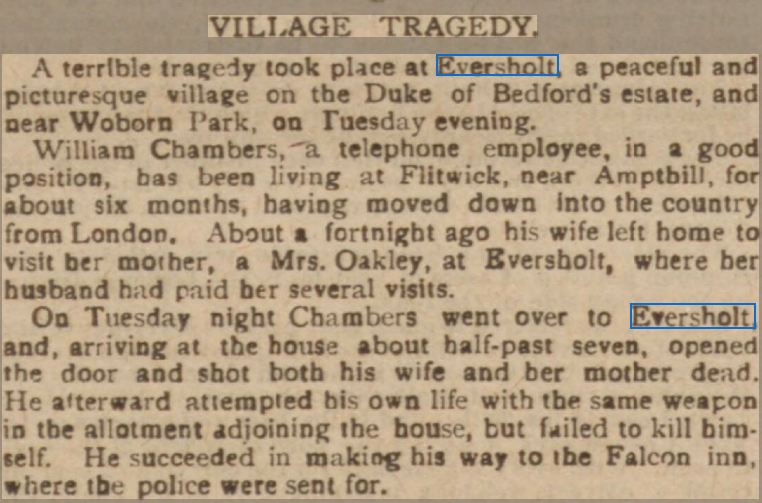 A terrible tragedy took place at Eversholt, a village near Woburn Park, Bedfordshire. 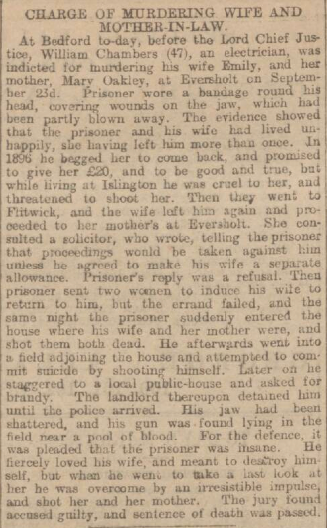 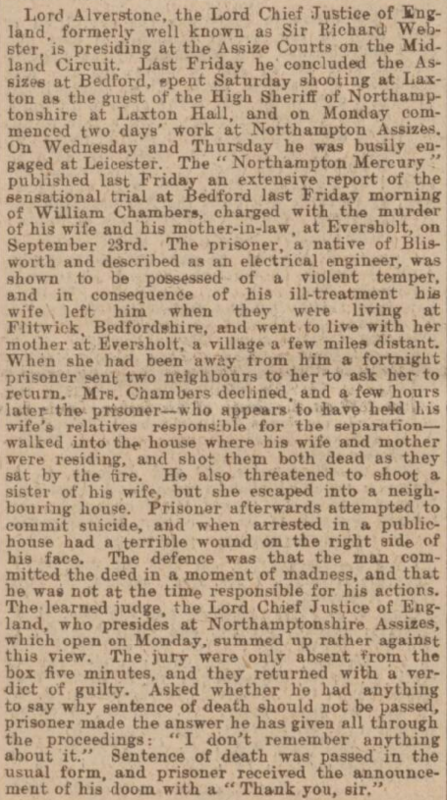 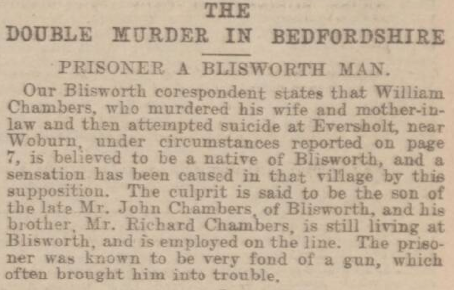 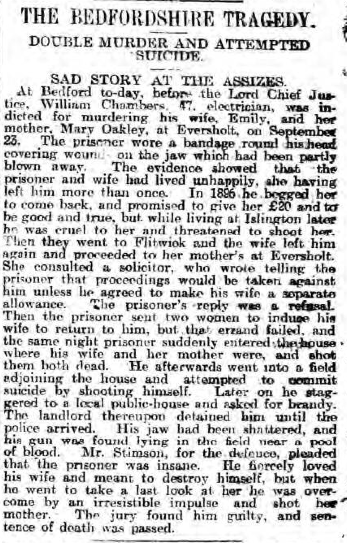 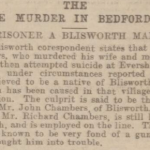 William Chambers, a telephone employee, from London, had been living at Flitwick, near Ampthill, for about six months. 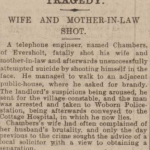 He and his wife separated some years ago, but had come together again; but, in consequence of her husband’s threats, Mrs Chambers recently went to stay with her mother, who lived at Eversholt. 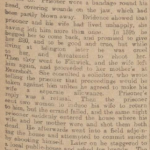 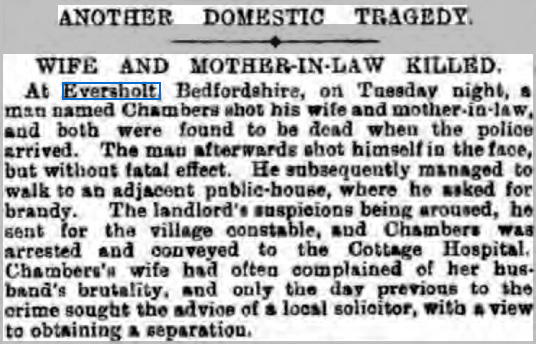 The mother and daughter were sitting talking to Mrs Hazell, another daughter of Mrs Oakley, when Chambers suddenly entered by the back door, with a, doublebarrelled gun, and, it is alleged, without a word, shot his mother-in-law through the neck, and then fired at his wife, the bullet entering the lower part of the face. 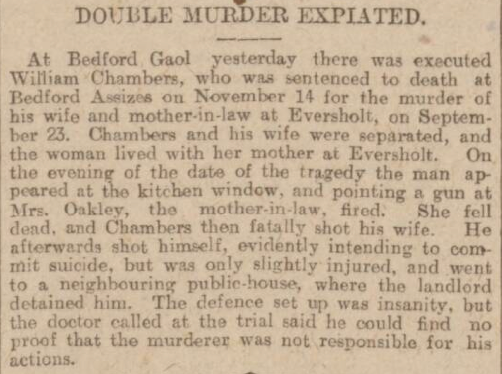 Both women expired almost immediately. 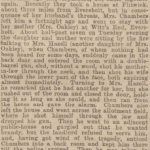 The other woman rushed out of the room and closed the door, holding it as long as she could, and then ran from the house and raised an alarm. 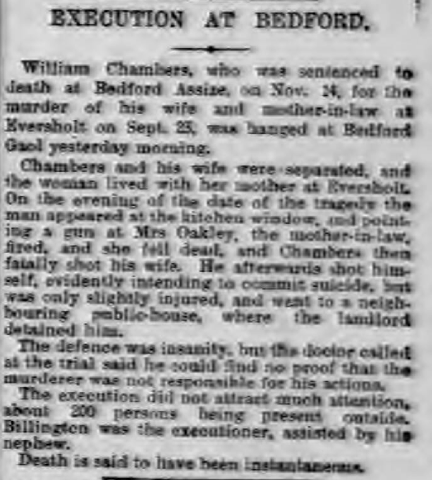 Chambers also left the house and went across an allotment field, where he shot himself through the jaw and dropped his gun. 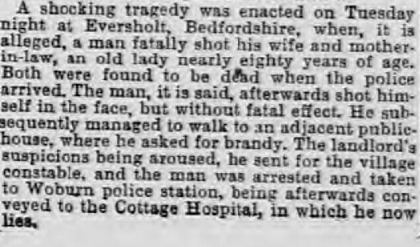 He then managed to stagger into the Falcon public-house, where he could only gasp, ” Brandy, brandy.” . 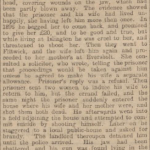 The landlord, however, refused to serve him, and having heard something of the occurrence he enticed Chambers into a back room, and kept him there until the police arrived. 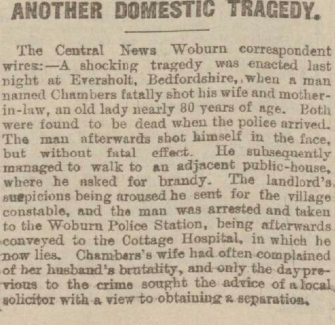 Chambers was taken to the Woburn police station, and later to the cottage hospital, where it was found that part of his jaw had been blown away. 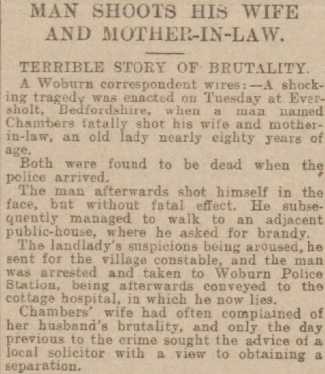 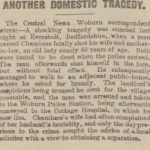 At the inquest, it transpired that the wife had been to see a Woburn solicitor with reference to getting a separation order, and the supposition is that Chambers heard of this, with the result that he paid the visit to his mother-in-law’s house. 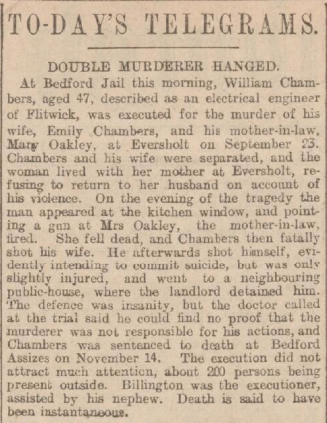 The jury returned a verdict of “Wilful murder” against Chambers. 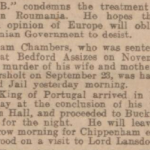 The text below comes from the ebook Among My Autographs by George Robert Sims, which is out of copyright. 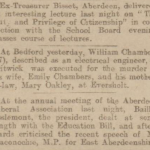 Thanks for your letters and for your brother’s kind message. 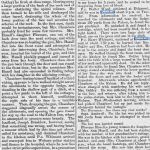 No more cricket, George. 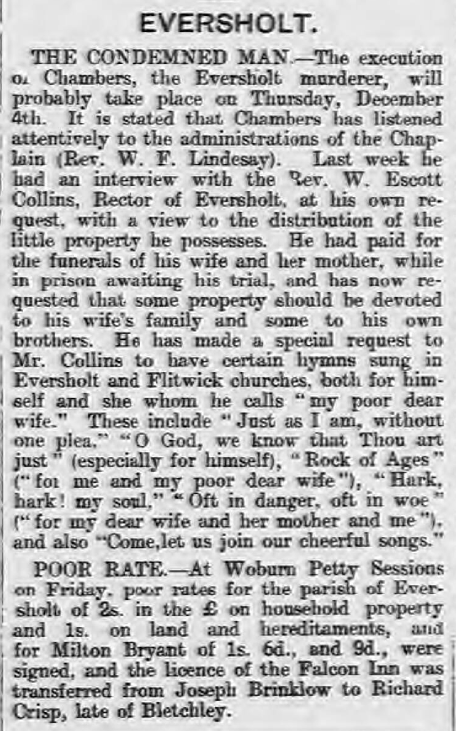 Good-bye, I am making my peace with God. 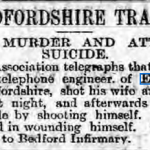 I never though I should come to this. 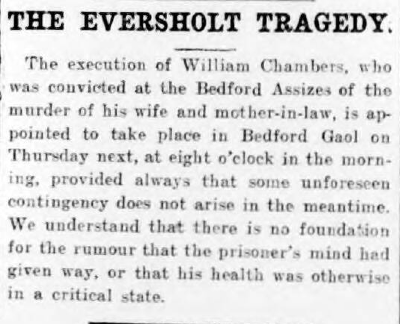 Influenza upset my mind, never been the same man since. 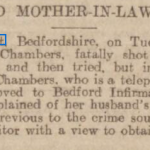 Hoping your wife and child are well. 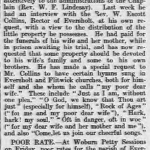 The line in the letter that perhaps strikes one most is, ” No more cricket.” It was the ruling passion strong in death. 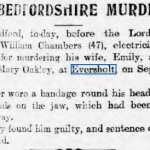 Mary Oakley’s death in 1902, at the age of 71, is listed in the Ampthill Registration district by freebmd. 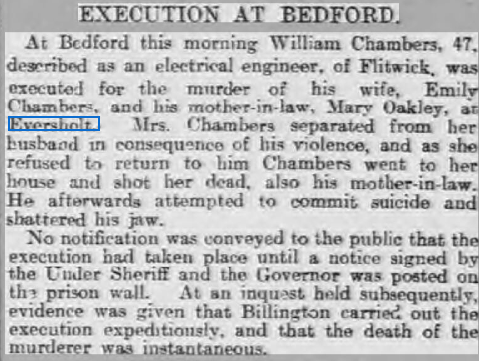 Emily Chambers was 35. 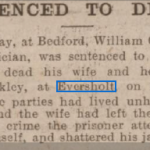 The 1901 census (sorry, Ancestry.com login needed) lists Mary Oakley as living in Water End, but does not give the exact house. 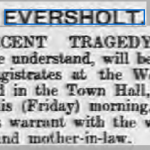 She lived with Agnes F Kingsley, her daughter aged 30, and Ernest J Oakley, her grandson aged 21, an agricultural labourer. 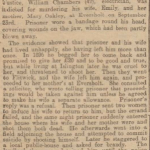 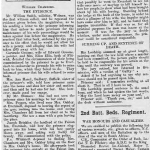 Freebmd tells that an Emily Oakley married a William Chambers in Islington in 1888. 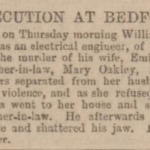 In the 1901 census, Emily and WIlliam were living in Islington, and William was working from home as a self-employed electrician. 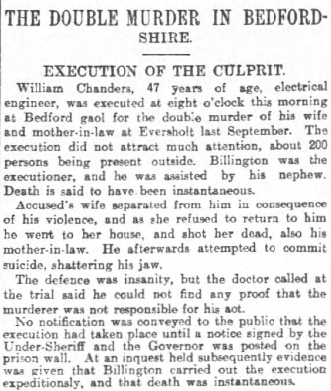 William was born about 1860 in Northampton. 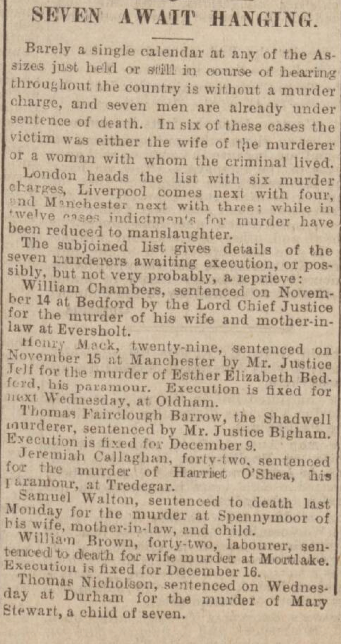 They didn’t list any children. 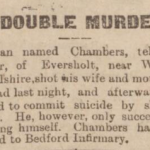 I can’t find them, either as a couple or separately, in the 1891 census. 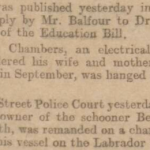 This family tree on Ancestry lists Emily as also having married an Arthur Chambers, with who she had a son, Archibald, in 1894. 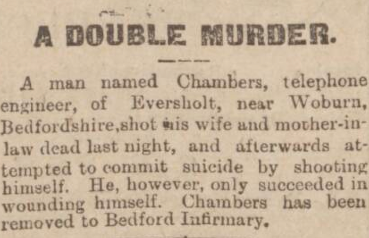 That may be wrong! 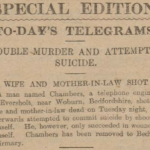 Since the above notes were written, the British Newspaper Archive has changed its copyright terms to allow re-publication for non-commercial purposes. 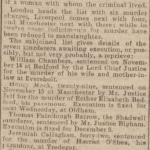 Here is a collection of all the articles I could find on this event from their records, searched in September 2014. 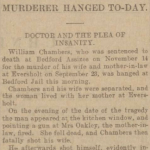 All these images are, for the moment, © THE BRITISH LIBRARY BOARD, but I presume you can share them under the same terms as the BNA use. 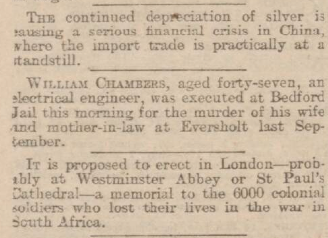 I wish they’d just use a Creative Commons licence, we might stand a chance of understanding it then. 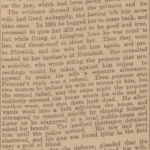 But enough of that, here’s the full story. 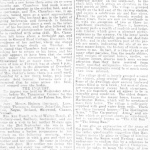 Click any image for a bigger version. 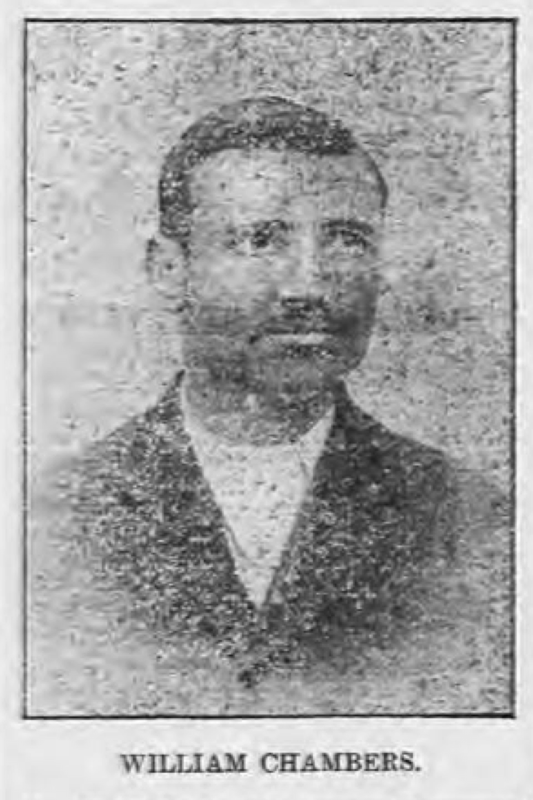 Once clicked, the URL of the image includes information on the source name and date.